FSU Art Professor Mark Messersmith’s work is now hanging at the Ogden Museum of Southern Art. It is part of their permanent collection. Mark Messersmith’s work has recently been acquired by the Grace Museum, the Art Museum of Southeast Texas, the Appleton Museum of Art, and the Art Museum of West Virginia University. 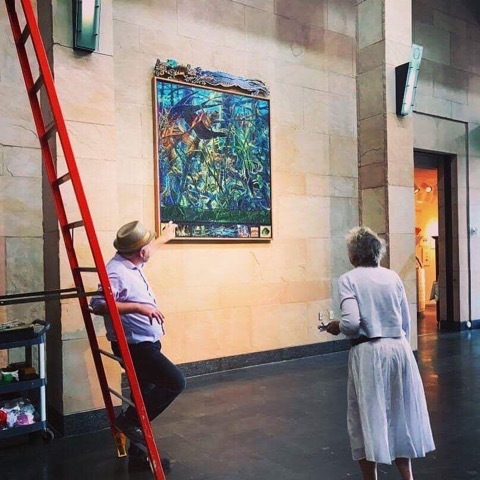 His work is also in the museum collections of the Huntsville Museum of Art, the Jacksonville Museum of Modern Art, Tyler Museum of Art, the Musée du Haut-de-Cagnes-sur-Mer, Vero Beach’s Center for the Arts, Leepa-Rattner Museum of Art and FSU’s Museum of Fine Arts.